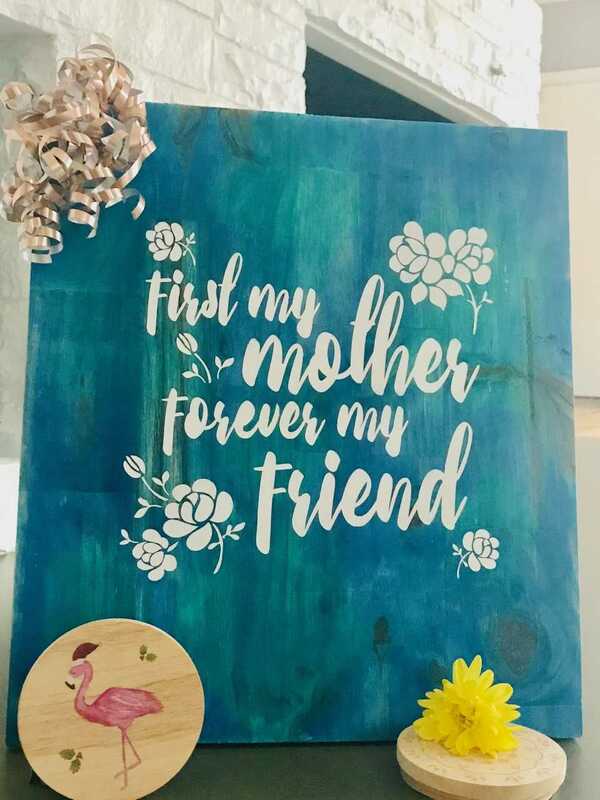 This Mother's Day let her know she is your best true friend. Make this special gift for her. Upon arrival you choose your back ground and font colors and get ready to craft! All individual supplies are provided to distress the wood, stain the background and font any color you would like. *No discounts for this class. Reservations with a discount will be refunded. AGE POLICY: Guests 10 and up are allowed with an accompanying adult. All guests must have a paid seat in order to stay. FOOD/DRINK POLICY: BYOB Studio! Food and drinks are welcome.